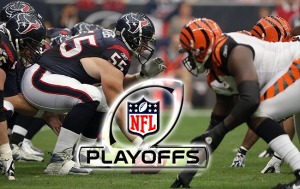 On the January 5th the Cincinnati Bengals play Houston Texans in a wild card playoff. The Bengals have won 8 out of 9 games to reach the playoff while the Texans lost three out of their final four games and lost the position of AFC’s No. 1 seed while doing so. However, the Texans are still the bookies favourites with odds of 4/9 while the best available on the Bengals is 19/10. Fans of the Bengals should keep an eye on A.J. Green; he was shut down by the Texans’ defence in last year’s match-up and was held to only five catches for 47 yards. However, it seems as if the Texans have struggled in giving up big pass plays to speed receivers in recent weeks. On the Texan side J.J. Watt is worth keeping an eye on. When the teams met last January his 29-yard interception return for a touchdown before halftime gave his team a 17 – 10 lead they never relinquished. A great clash of the Bengals’ defence and the Texans’ offense can be expected in this game. The Bengals finished second in the NFL with 51, just behind Denver. On the other hand the Texans left tackle Duane Brown and left guard Wade Smith, can be expected to attack hard.